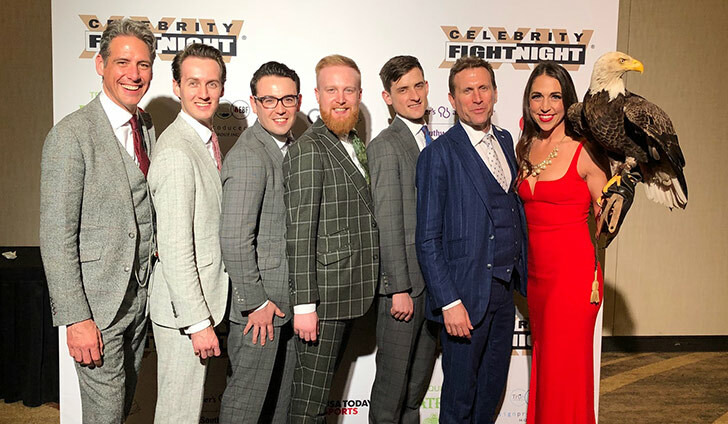 Julia Cecere & Challenger Shine at 2018 Celebrity Fight Night! Phoenix, AZ: For over 20 years, Celebrity Fight Night—one of the nation’s premier charity venues, has raised more than $142 million primarily benefitting the Barrow Neurological Foundation in Phoenix, as well as numerous other worthy charities. Muhammad Ali was the featured guest at year three of the event (and every event thereafter until his death), and since then, Celebrity Fight Night has become synonymous with his name. 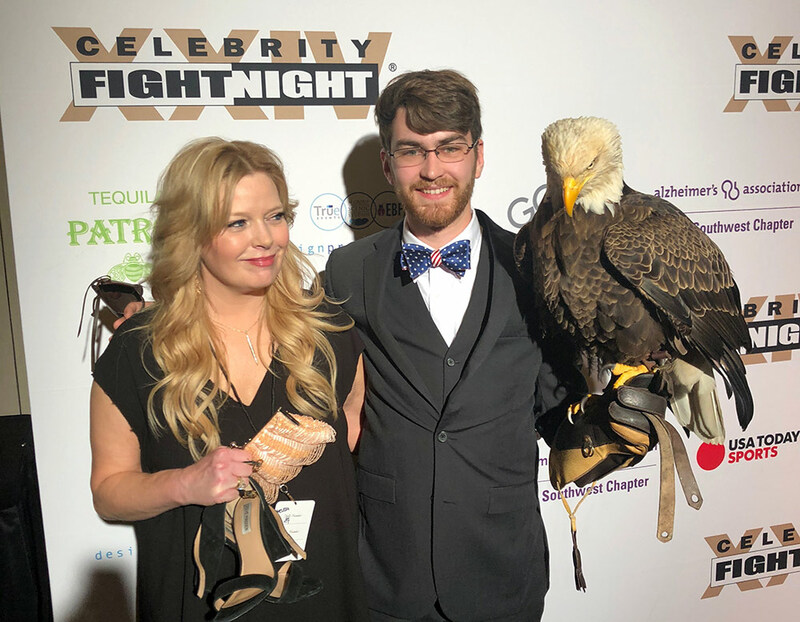 This year, Celebrity Fight Night XXIV brought together celebrities and professional athletes showcasing a night of star-studied performances and a live auction benefitting the Barrow Neurological Foundation, the Muhammad Ali Parkinson Center, and BNI’s Alzheimer’s and Cognitive Disorders Program. 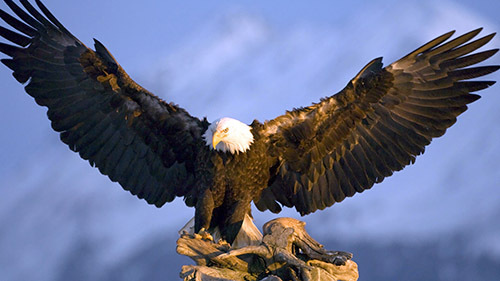 Through the years, the American Eagle Foundation has been part of this event, with Bald Eagle Challenger soaring over the audience during the National Anthem. This year was no exception—with one difference: Julia Cecere was asked to sing the National Anthem, and what a performance! In a moving rendition of the Star Spangled Banner, and in front of a crowd filled with influential people and celebrities, Challenger flew to the stage and landed perfectly on Julia’s glove as the last notes of the National Anthem were sung, eliciting cheers from the audience along with compliments from both Reba McEntire and Kristin Chenowah. Laura Cecere and Challenger with “The London Essentials,” one of England’s most in-demand accoustic collectives. 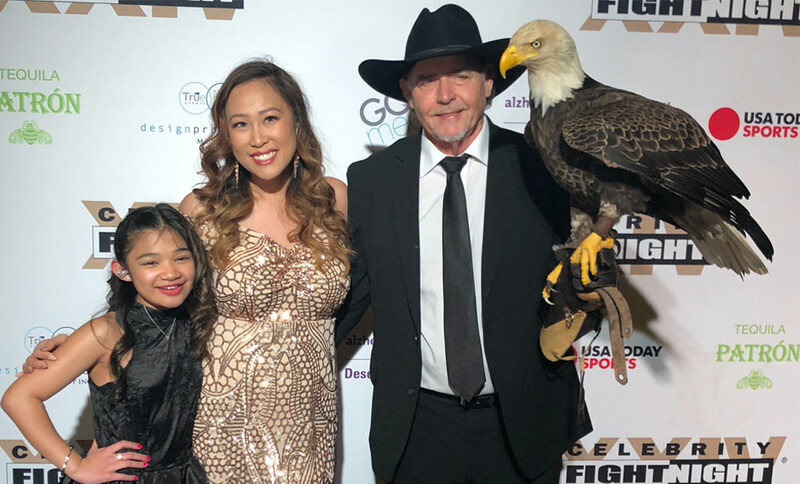 Nhi and Al Cecere with Bald Eagle Challenger and America’s Got Talent singer, 10-year-old Angelica Hale. Cecere Sisters with Challenger—Mikaela Gray, Gretchen Cecere, Julia Cecere, and Laura Sterbens. Challenger enjoyed Arizona sunshine every morning while in Phoenix! 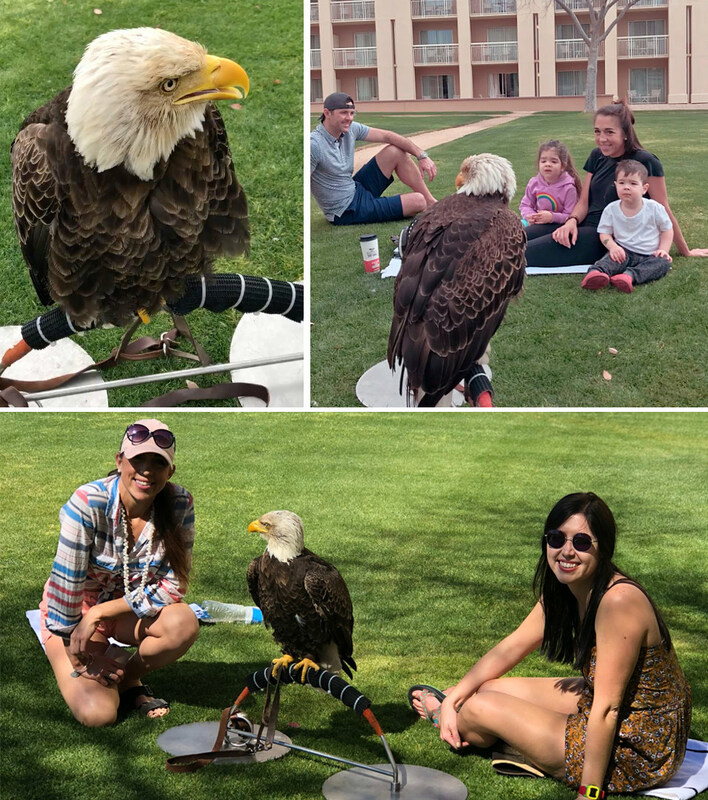 Many hotel employees and guests of the hotel (who saw Challenger perched in the grass from their hotel rooms) came outside to get closer this magnificent ambassador for his species. Children were mesmerized by Challenger and were eager to learn more about him. Every day, Challenger spent time outside, enjoying the sunshine and fresh air. Lots of people came to visit, and the children were eager to learn more about him!